Hey girls, guess what time is it? Also- Happy Thanksgiving to everyone in the U.S.! 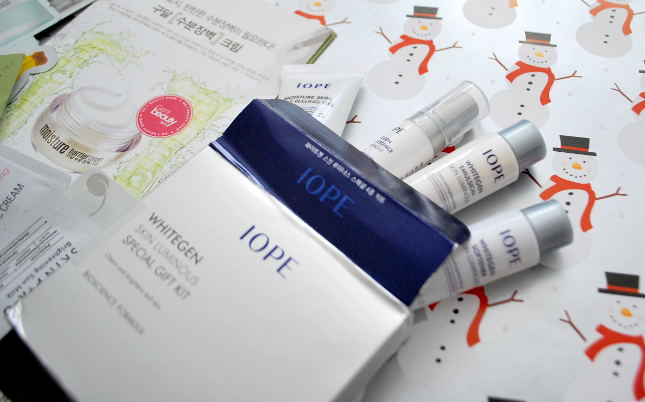 With the holiday season upon us, I've decided to hold a small giveaway with some products that I picked up in Seoul for you guys!! This is my thank you gift to all my readers who have stuck with me and continue to read my blog posts despite my long breaks between each post. 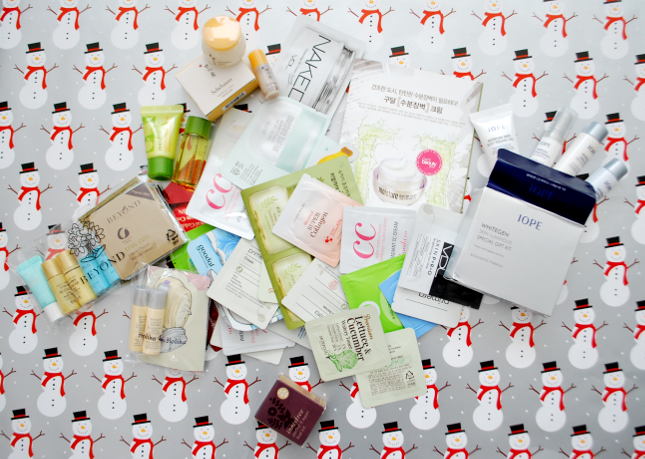 The prize consists of mostly skincare, some makeup, and a ton of samples and sheet masks. Also, because it is the holidays, chocolates and some other festive treats are included as well! A quick note- I made a new Instagram just for the blog! I'll be posting way more often on this new Instagram than the one I used before, so please follow me @gloriausdays for review previews, announcements, updates, etc.! 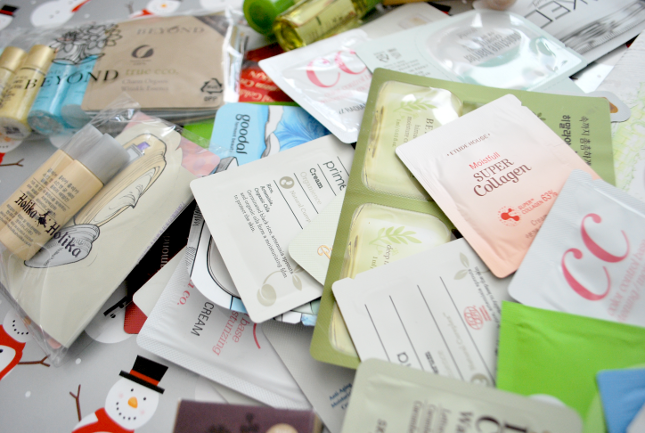 Sheet masks from: Nature Republic, The Saem, Tony Moly, Etude House, Innisfree, etc. 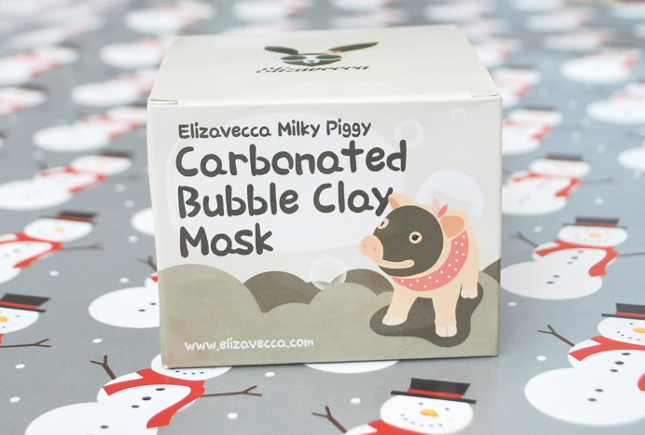 The Elizavecca Carbonated Bubble Clay Mask has been extremely popular the past year, and when I was in Seoul I saw stacks of this mask almost everywhere I went. So, without I doubt I knew I had to include it in this giveaway. This mist smells so good. When I tried it out in the store, I immediately bought two- one for myself and another to give away. I normally don't like mists because they leave a sticky or tacky feeling on my skin (I'm looking at you, Innisfree Green Tea Mist), but this one just feels very refreshing and slightly moisturizing. Also, it has a very fine spray, which is a must for me when it comes to mists! I was dragged into Beyond one day by one of the SA's, and I have to say I'm glad she forced me to go into the store. Otherwise, I would've never found one of my current favorite tints! After using the Beyond Aqua Tinted Rouge for a few days, I knew I had to add this to the giveaway because this tint is amazing. It's pigmented, moisturizing, and long-lasting. If that doesn't qualify it as a good tint, then I don't know what would. The one I'm giving away (and also own) is 07 Rose Red, which is a gorgeous shade that would look flattering on any skin tone. I found this when I was walking in Sinsadong one day and came across the then-recently opened Skinfood Cafe. For those of you are or will be in Seoul, definitely check it out! It's located on Garosu-gil. 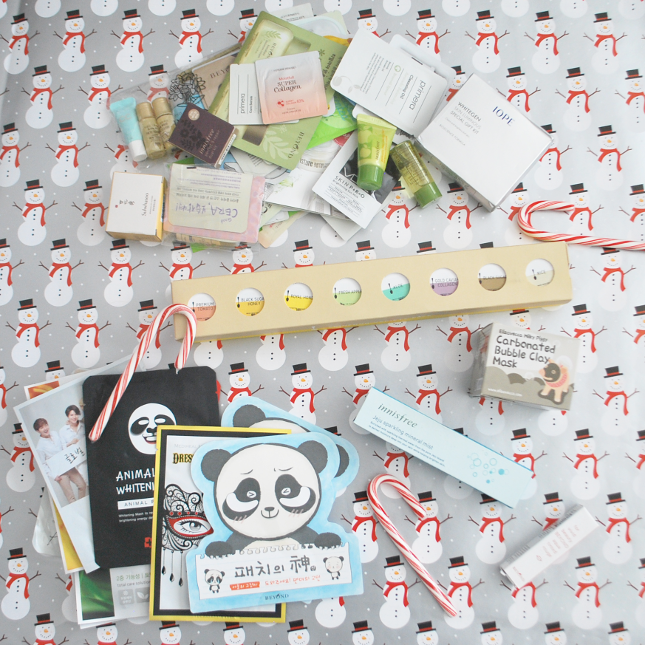 There are three stories and the first floor is a shop where you can buy Skinfood products that you can't find anywhere else (like this variety mask pack I'm giving away!). The pack consists of 8 different types of Skinfood masks that either cleanse, moisturize, or exfoliate your skin. It's almost like a miniature mask bar- sans alcohol. 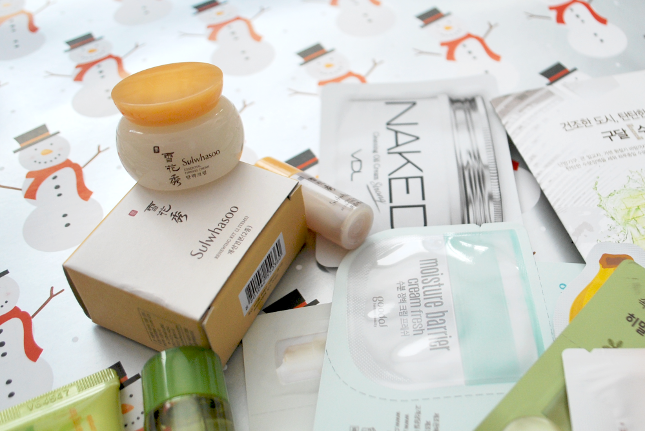 And of course, what would Korean cosmetics shopping be without the plethora of free samples? 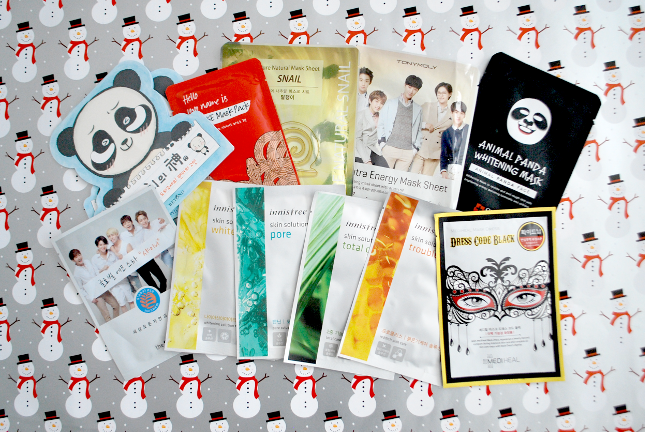 And sheet masks! Pictured here is a over half of the samples I received while shopping in Korea, which is all going to be a part of this giveaway. Some of the sheet masks were purchased by me, while others were shoved into my hands as I was walking around Myeongdong. Last of all, for the chocolates, I will personally go and buy them depending on the winner's preferences, hence why there aren't any pictured here. I know some people prefer dark, milk, white, etc. And some people have allergies or dislike certain flavors. So for now, what the actual chocolates are are unknown, but it'll most likely be a chocolate gift box, a few bars of chocolate, and possibly something else! All prizes pictured were bought with money out of my own pocket and not sponsored nor gifted to me in any way, shape, or form. I'm doing this giveaway out of genuine appreciation for everything you guys have done, such as following and reading my blog even though I'm lacking still in various aspects as a blogger. Without all of you this blog wouldn't have made it to where it is today! Everything else is optional and can be done for additional entries to increase your chances of winning. Just remember, no cheating. I do go through all the entries to ensure that that doesn't happen, and anyone who is found cheating will be disqualified. Let's keep this giveaway fun and fair for everyone! 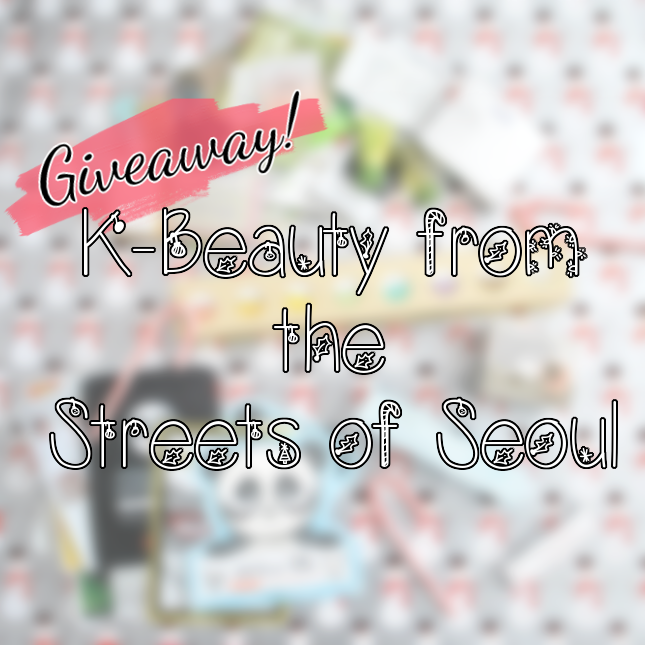 Enter now through the Rafflecopter widget below to win this box of Korean beauty products from the streets of Seoul! Good luck to everyone!